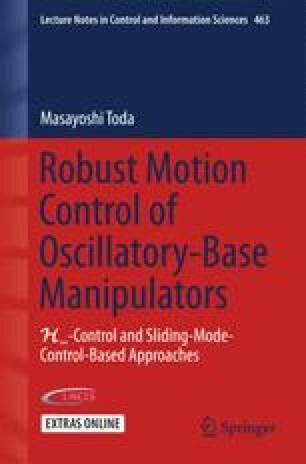 This chapter presents the problem definition and dynamical model formulation of an oscillatory-base manipulator considering an illustrative example, which we will work on throughout the monograph. We will consider three types of control problems, specifically attitude control in local coordinates (base-fixed coordinates) which is associated with on-board operations such as cargo handling, attitude control in global coordinates (earth-fixed coordinates), e.g., radar gimbal systems, and position control in global coordinates, e.g., heave-motion-compensated cranes. Further, as patterns of base oscillation, we consider three patterns, single-frequency sinusoidal oscillation, double-frequency sinusoidal one, and ocean-wave imitated oscillation based on the Bretschneider spectrum. Using combinations of those cases, we will demonstrate control system design and analysis, control simulations and experiments.